Truck Accident Attorneys in WI, IL & IA | Hupy and Abraham, S.C.
A truck crash can result in a catastrophic injury. If you’ve been hurt then you need a skilled truck accident lawyer to help you get the financial recovery that you deserve. For the past half century, the experienced lawyers of Hupy and Abraham have been helping accident victims in Wisconsin, Iowa, and Illinois get fair damages for their truck crash injuries. We provide each client with personal attention from the first time they call us until their case has settled. Contact us anytime to get personalized, accurate, and important information about your own truck accident claim. The police will be dispatched to make sure no secondary accidents occur, to get everyone who is hurt medical help, and to investigate the cause of the crash. Get all of the information you can at the scene of the truck wreck. If you are physically able to do so, then it is important to write down the names and contact information for the trucker, trucking company, and witnesses of the crash. 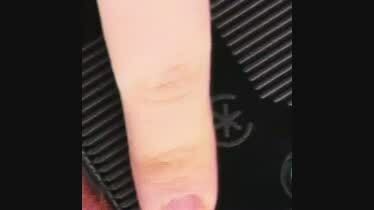 It is also important to take pictures at the accident scene. Whether you go to the emergency room or you make an appointment with your own physician, it is important to have a doctor diagnose your injuries so that treatment can begin. Contact a truck accident lawyer as soon as possible. An experienced truck accident lawyer can answer all of your questions, handle all contact with the insurance company, and provide you with the skilled representation you deserve. Follow medical and legal advice. It is important to choose doctors and lawyers whom you trust and to follow their professional advice to protect your physical and financial recoveries. Todd Korb's client writes, "Please know that you made a big positive difference in the life of an individual." Kathy N.
You deserve to know everything that you can about a truck accident lawyer before you hire one. Our personal injury law firm invites you to read our more than 300 Google reviews and 500 website reviews to learn more about our truck accident lawyers in Wisconsin, Illinois, and Iowa. Truck accident injury victims in Wisconsin, Illinois, and Iowa deserve experienced and compassionate lawyers who will fight for their fair recoveries. Insurance companies and courts throughout the state know the attorneys of Hupy and Abraham mean business. Visit us in any of our Wisconsin offices (Milwaukee, Appleton, Green Bay, Madison, or Wausau), in any of our Illinois offices (Bloomington, Gurnee, or Rockford), in any of our Iowa offices (Cedar Rapids, Des Moines, or Quad Cities), or let us come to you to discuss your truck crash case. Our Wisconsin, Illinois, and Iowa personal injury lawyers have helped more than 70,000 clients recover a total of more than $1 billion. Some of these clients suffered serious injuries in truck crashes. Here, you can learn about the specific settlements and verdicts we’ve recovered for the benefit of our truck accident clients. If you’ve been hurt in a Wisconsin, Illinois, or Iowa truck crash, then you need to reach out to an experienced truck accident lawyer as soon as possible. You can reach Hupy and Abraham at any time. We are available to take your call or to respond to your online chat every hour of every day of the year. Reach out to us today to learn more. 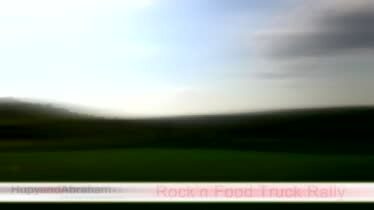 Rock'n Food Truck Rally - Sponsored by Hupy and Abraham, S.C. Many food trucks gather at The Rock Sports Complex every Thursday this summer for the Rock'n Food Truck Rally. 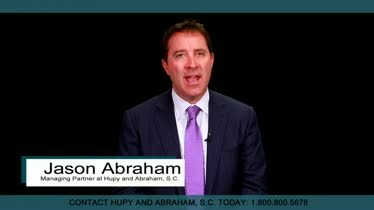 Hupy and Abraham, S.C. is a proud sponsor.